The definitive guide to financial independence that offers proven skills and realistic strategies you can use to retire early—and still have time to enjoy your golden years! Retiring early is not limited to lottery winners or the super rich. In fact, with proper planning, we can all retire at a younger age than we ever dreamed—but only if we know how. With Hayes’s guidance, you can achieve financial independence and enjoy an active, happy retirement. Deacon Hayes is a financial expert, speaker, and podcaster. He is the founder of a financial education company that provides personal finance curriculum for people across the world. He has been featured in many news publications including Yahoo Finance, US News & World Report, Investopedia, and CNN Money. He has helped thousands of people develop a financial game plan so that they can achieve their financial goals in life, and is the author of How to Retire Early. Is a Rewards Credit Card Worth Using? "Through storytelling and actionable advice, Hayes lays out the step-by-step process anyone can take to retire early enough to enjoy it. By the end of the You Can Retire Early, you should know how to develop a personalized retirement plan, maximize your income, understand opportunity cost, and select the right investment vehicles for your needs." 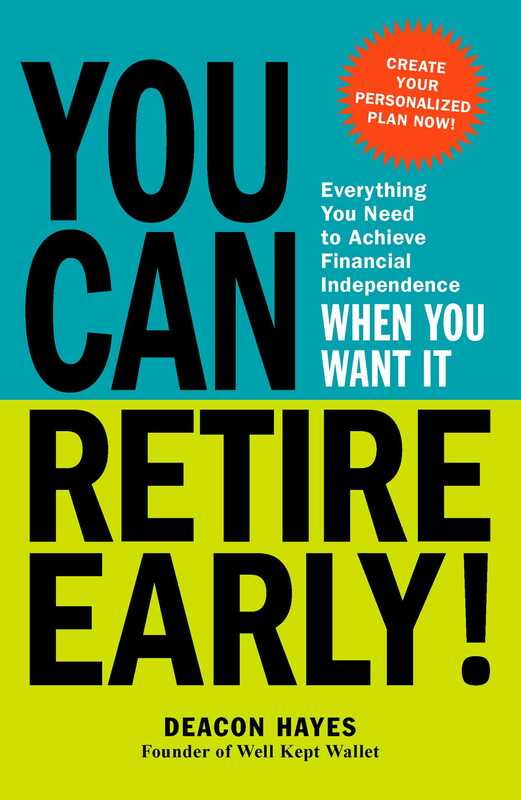 Book Cover Image (jpg): You Can Retire Early!